Many farming industry injuries could have been prevented if not for the farming negligence of the farming equipment itself. Agricultural work is the backbone of the United States. It has a long-standing history of making this country what it is today. Unfortunately, it is also a dangerous job, which can serious injury or even death. In fact, according to the US Department of Labor, farming industry fatalities rose 11% in 2008, with 651 deaths recorded across the country. Aside from farm industry fatalities, 243 agricultural workers suffer injuries every day in the United States, 5% of which lead to permanent disabilities. 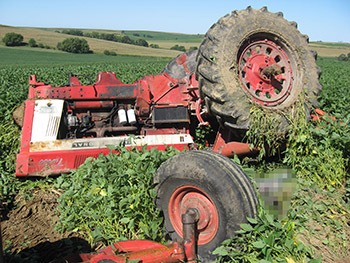 One in five farms is the scene of a serious agricultural industry accident. These accidents can lead to serious bodily injury, including loss of limbs and amputation, head injuries and brain damage, back injuries and spinal injuries, disfigurement, and death. These injuries can keep you from returning to work, permanently lower your quality of life, and require ongoing medical treatment. If someone else was responsible for your farm industry accident, they could be responsible for your medical bills, lost wages, and other damages.